MoveU is a tri-campus initiative at the University of Toronto with teams on the St. George, Scarborough and Mississauga campuses. We are here to answer your questions and address your concerns about these areas of your lifestyle. We can help you find what you are looking for to reach your goal. We are also a friendly group of students and would be happy to help you explore all events, activities, and services available at each campus. UTM MoveU exists jointly within the UTM Health & Counselling Centre and the UTM Department of Physical Education, Athletics & Recreation to promote regular physical activity as part of a balanced approach to overall wellness. Whether through the programs and facilities offered on campus or within the community, the MoveU Crew helps to identify activities that are fun and appropriate to an individual’s fitness level. MoveU at UTSC is housed under the Athletics and Recreation Department. We are a peer group that aims to encourage and assist students to live a physically active life style. We are aware of the time and dedication your academics demand, leaving you with minimal time to continue to practice healthy living and nutrition habits, as we are fellow students ourselves. We know the benefits of staying active and wish to extend our knowledge to you. The MoveU Crew on the St. George campus is a group of about 30 students who promote physical activity on campus in various ways. 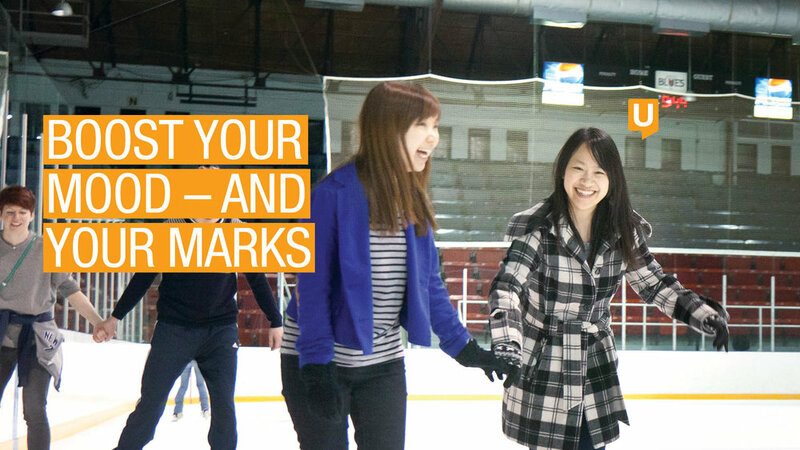 In partnership with the Faculty of Kinesiology & Physical Education, Hart House and Student Life Health & Welless we offer mobile fitness classes, classroom movement breaks, exam-time de-stressors, learn-to-run groups and themed events throughout the year.